Superdry men’s rookie oversized hoodie. 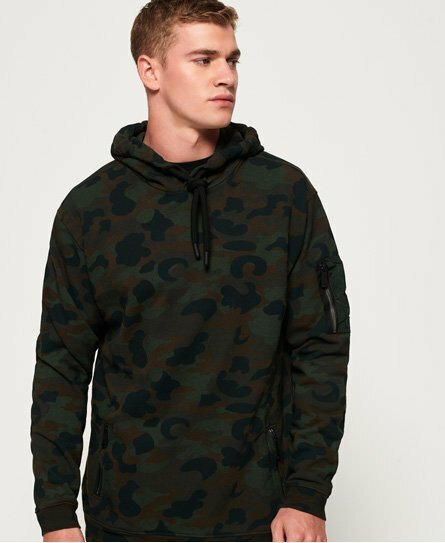 This overhead hoodie is a great statement piece this season, featuring a draw cord hood, ribbed hem and cuffs as well as a pocket on one sleeve that has a Superdry tab. This hoodie is finished with two front pockets for practicality. Team this look with your favourite jeans and boots for an effortlessly cool look.